Ematic has launched a number of budget Android tablets in the past,the latest one is a 7 inch Android Jelly Bean tablet that will retail for $100 in the US. The Ematic EGQ307 comes with a 7 inch display that has a resolution of 1024 x 600 pixels, the tablet features a quad core 1.5GHz processor and comes with 1GB of RAM. 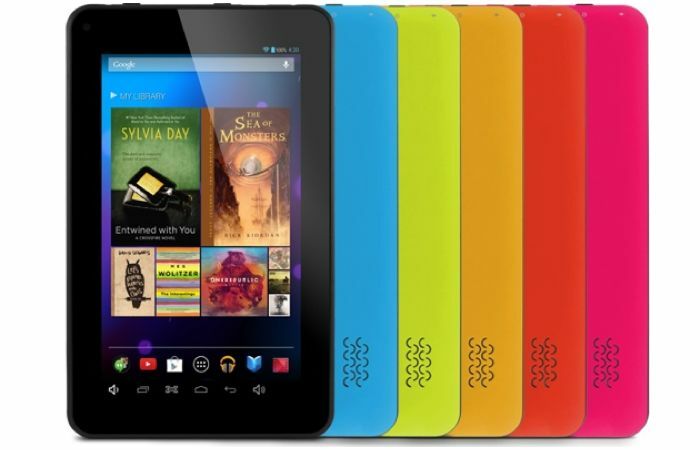 Other specifications on this budget 7 inch Android tablet include Android 4.2 Jelly Bean, the device comes with 8GB of built in storage and also features a microSD card slot. The Ematic EGQ307 also comes with a front facing VGA camera, 802.11 b/g/n WiFi, HDMI and it will be available in a range of colors which include, blue, black, yellow and red. The tablet comes with Google Play Services including access to the Google Play Store, it will be available at a range of retailers which include Walmart, B&H , Shop HQ and Frys.